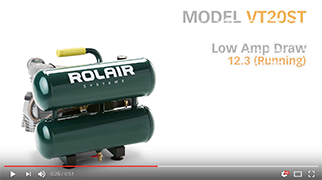 Model VT20ST is the go-to hand carry air compressor for contractors who want a relatively quiet model capable of running all day. 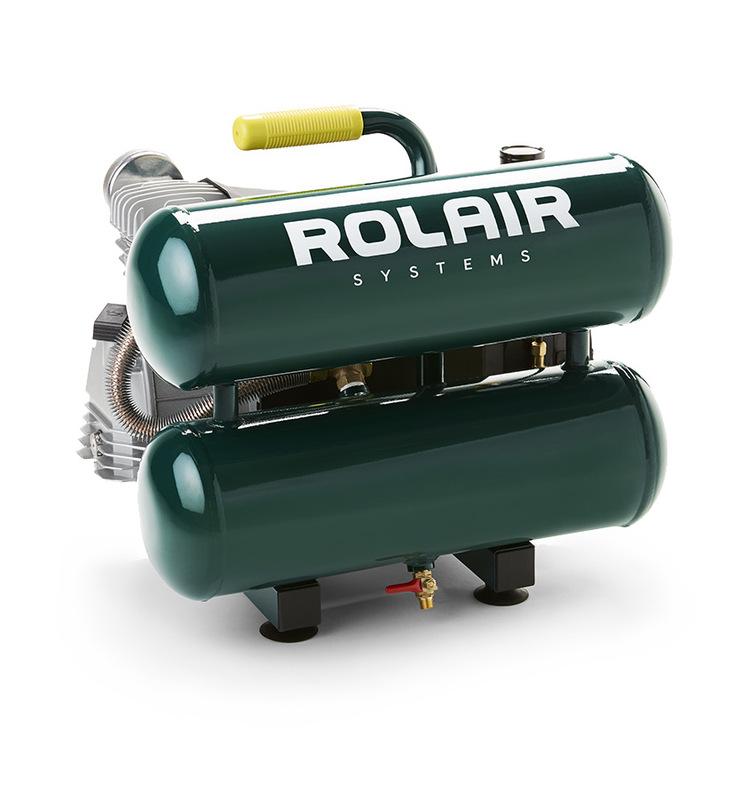 The low speed, continuous-duty motor-pump delivers 4.2 CFM @ 90 PSI. The VT20ST features integrated twin tanks for extra air capacity. *Low Speed ~ Quiet*, ROLAIR Quality, Cast-Iron Cylinder, Single Stage, Ball Bearings, Stainless-Steel Reed Valves and Splash Lubrication Ensure Longer Life. 2 HP, 1700 RPM, S1-Rated for Continuous Duty, Low-Amp Draw, Overload Protection with Manual Reset, 115 Volt, 60 Hz, Heavy-Duty/Industrial Grade with Ball Bearings for Greater Durability. PUMP OIL CAPACITY 10 oz. L x W x H 19" x 16" x 17"